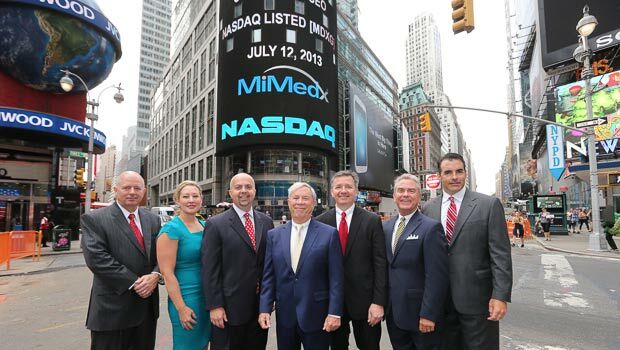 MiMedx Group, Inc. (NASDAQ: MDXG), an integrated developer, manufacturer and marketer of patent protected regenerative biomaterials and bioimplants processed from human amniotic membrane, visited the NASDAQ MarketSite in Times Square and rang the Opening Bell on Friday, July 12, 2013. 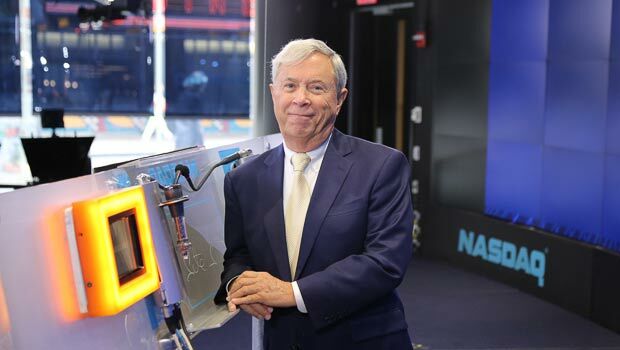 Parker H. "Pete" Petit, Chairman and CEO performed the honorary ringing of the Opening Bell. Bill Taylor, President and COO; Mike Senken, Chief Financial Officer; Debbie Dean, Executive Vice President; Brent Miller, Executive Vice President; Thornton Kuntz, Vice President Human Resources & Administration; and Mike Carlton, Vice President Global Sales, joined Mr. Pete Petit in the ceremony. 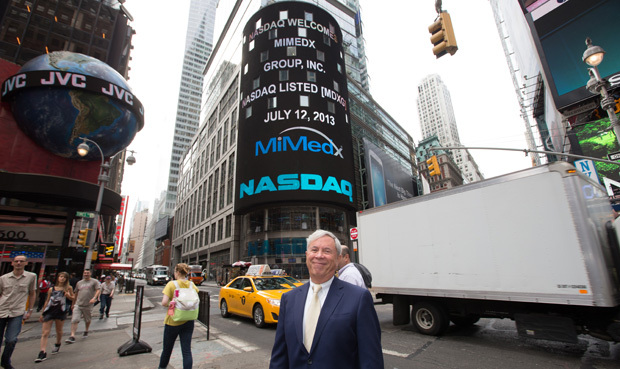 "Our listing on NASDAQ represents another significant milestone in our strategy to broaden our exposure to the investment community and to increase the trading volume in our stock," said Petit. 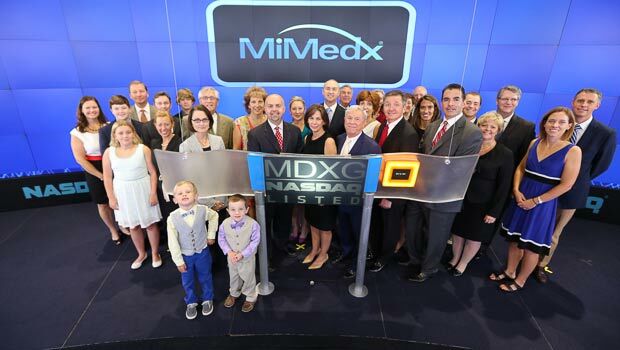 "Joining the NASDAQ Exchange also comes at an important time for MiMedx as the Company has just become part of the Russell 2000." 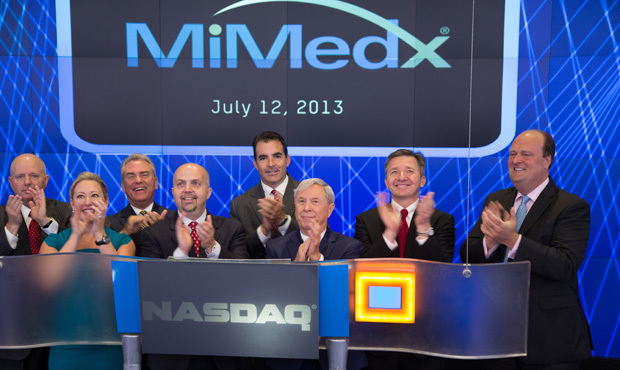 The Opening Bell rang at 9:30 am Eastern Daylight Time and was televised on CNBC.